From I-75 South take exit 166 toward Crittenden. Turn LEFT off exit onto E/Violet Rd. Turn RIGHT onto US-25 S/N Main Street. Turn RIGHT onto Crittenden Mt. Zion Rd. LEFT onto Ruark. RIGHT onto Claiborne Drive. Property is located on the right. USDA ELIGIBLE! 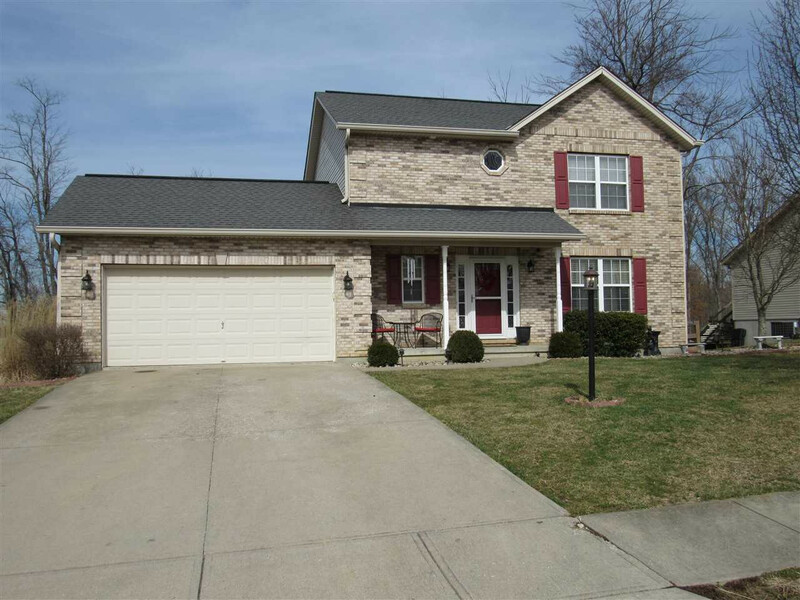 This beautiful 4bd 3.5 bath has been well-maintained and includes many upgrades! Open concept on first floor living space. Lots of natural light. NEW granite countertops installed in 2018. Back deck off kitchen/dining room. Real hardwood flooring. **1ST FLOOR LAUNDRY **FULL FINISHED BASEMENT 2019. Enjoy more space for entertaining with features that include: NEW CARPET, FULL BATH, and WALK OUT to the spacious patio with a built-in fire pit. NEW WATER HEATER 2018. Hurry, this one won't last! !